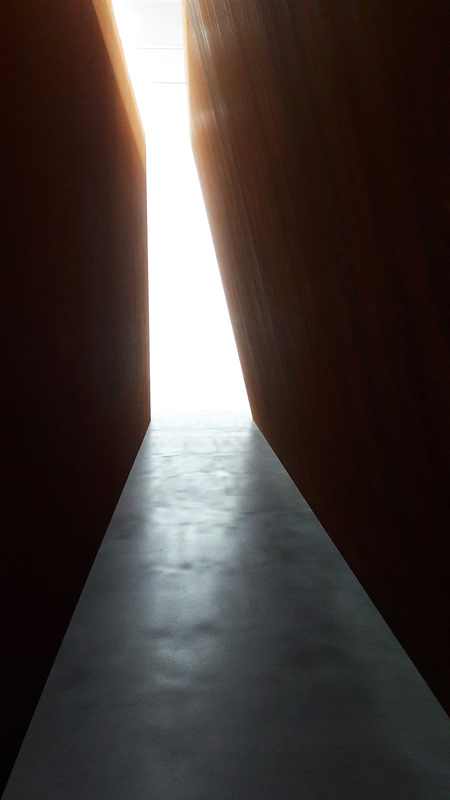 We went the other day to see the Richard Serra at the Gagosian Gallery. The monumental centre-piece - called NJ-2 is truly awe-inspiring. As you walk through the narrow fissures and cliff faces of the work it feels as though you are transported from a smart London gallery to the valley floor of the Grand Canyon. 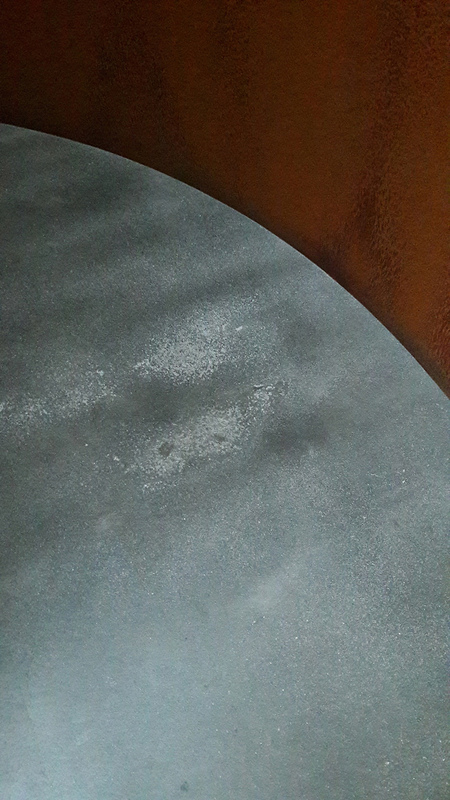 The whole piece is in made Corten steel and measures over 4 x 8 x 14 metres. 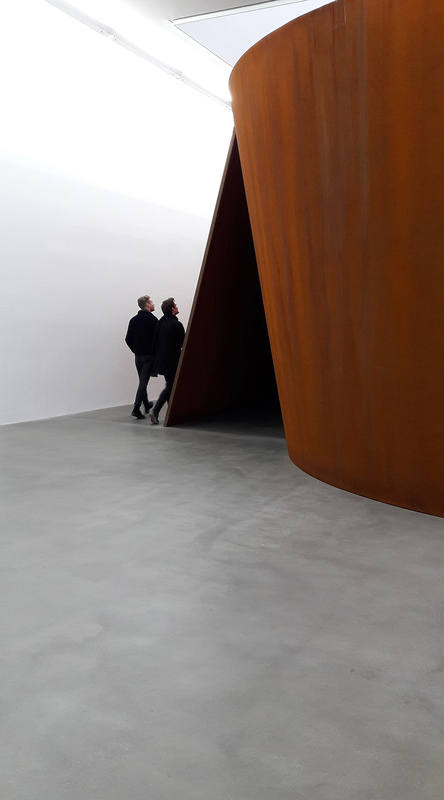 The weight must be phenomenal and yet despite the elemental physicality of the piece it rests so effortlessly on the polished concrete floor - as if a whole gallery wall was removed and it was slid in on a sheet of ice. Magical.